They say that a person’s favorite film list tells you a lot about that person. I have no clue what this following list will tell anyone, but I hope you have fun reading through it. There are two ways to answer the following question; what are your top ten favorite films? You can either go the film critic route and look for films reflecting what you consider artistic and creative perfection or you can go the Desert Island Discs route. For those not familiar, Desert Island Discs is a BBC radio program that has been running since 1942. Each week a guest recounts what pieces of music he or she would want to have with them if stranded on a desert island, assuming, of course, that the appropriate pieces of equipment to play those recordings were also stranded with them – and, presumably, solar powered. For this list, I’m going the Desert Island Discs route, which is why you won’t find Citizen Kane listed, as great as it is. These following films may not all be the darlings of a critic, but for whatever reasons, they’re films that I would never want to be without… particularly if stranded on a desert island with a solar powered DVD player and monitor. And they’re much more fun. An odd choice, I know, and one that remains largely unknown by mainstream American audiences, but Tales of Beatrix Potter is a charmer. It’s a ballet performed by the Royal Ballet with music performed by the Royal Opera House, and it never grows tired. 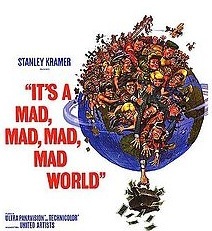 It’s listed as the 52nd greatest film in the American Film Institute’s 100 great American films. A near perfect marriage of dreamy, neon-soaked colorful images backed with Bernard Herrman’s haunting and final score. Another British film mostly unknown in America. 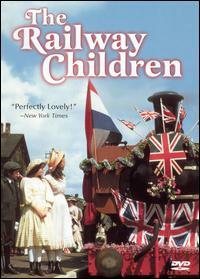 Based on a cherished children’s novel by E. Nesbit and directed by actor Lionel Jeffries, The Railway Children is considered to be one of the greatest British films ever made according to a survey conducted by the British Film Institute. No kidding, grown men have been known to cry during Jenny Agutter’s climactic “Daddy, my daddy,” when a family is reunited. It’s a childhood favorite that has never worn out its welcome. Nothing can compare to the very first viewing, especially if you were lucky enough to see it on the huge curved 70mm Cinerama screen. Today the spectacle is still astounding. Director William Friedkin’s adrenaline fueled rough-around-the-edges 70’s look, the kind he used so well in The French Connection, is repeated here, even if most of the action takes place inside a young girl’s bedroom. The impact is brutal, but the real success is not so much the scares it makes while watching the film, it’s after, when you’re alone at home. The jewel in the Disney crown, Beauty and the Beast is the best of its kind and has never been surpassed, despite great animated work that followed. This is where the critic’s hat and the Desert Island Discs format become one. 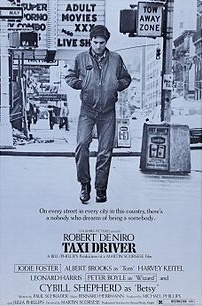 Among the best American films ever. 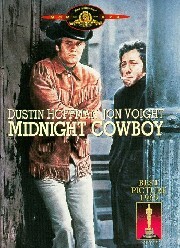 The end is devastating and Jon Voight has never been better. The same could have been said for Dustin Hoffman if it had not been for film number three. It blew into theatres out of nowhere, commanded the box-office and made a temporary star out of Katherine Ross, a long time star out of Anne Bancroft and a superstar out of Dustin Hoffman. Many have said that it epitomizes the 60’s, but it doesn’t. There is no hippie in sight, no protests on college campuses, and not a word about the war. The Graduate exists in it own time bubble and could easily take place today without changing much at all. As a seven year old, this was my introduction to America. I’d always loved the American musical – Singing in the Rain was and still is a favorite, plus I have warm memories of Doris Day in Moonlight Bay not to mention Judy Garland chasing the trolley in meet Meet In St. Louis – the musical list is, frankly, endless – but West Side Story was inspiring, moving, and HUGE. Watching the opening ten minutes with my father at London’s Astoria Theatre, Tottenham Court Road on a curved 70mm screen remains today one of my most fondest memories. We were seated in the Stalls (Orchestra) row 7. How on earth do I remember that? It was the first film to change my attitude towards film. Odyssey proved that a film can be something more than just entertainment. Spectacular, awe-inspiring, and occasionally even shocking. 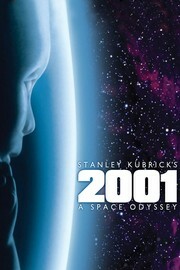 The scene where computer Hal 9000 is revealed to be lip-reading the two astronauts as the men secretly discuss Hal’s fate is a jaw-dropper.